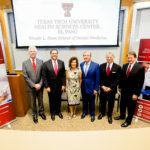 On Tuesday, September 6, Texas Tech University Health Sciences Center El Paso (TTUHSC El Paso) made a historic announcement. 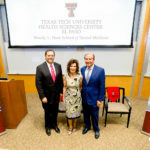 Eager to hear the groundbreaking news, students, faculty and staff, as well as Texas Tech University (TTU) System leadership, local health professionals and community members, gathered at the TTUHSC El Paso campus for a press conference. 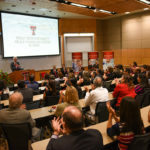 Guests listened intently as President Richard Lange, M.D., M.B.A., unveiled the school’s plans for the establishment of West Texas’ first-ever school of dental medicine. 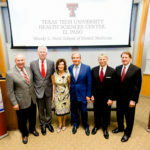 Launched by a generous $25 million gift from the Woody and Gayle Hunt Family Foundation, the newly named Woody L. Hunt School of Dental Medicine (WLHSODM) will mark the first dental school to open in the state of Texas in nearly 50 years. El Paso County suffers from a severe lack of dentists, and has been classified as a dental Health Professional Shortage Area (HPSA) by the U.S. Department of Health and Human Services (HHS). According to a study by the Texas Department of State Health Services (DSHS), the city currently has about one dentist for every 5,000 residents, compared to the state average of one for every 2,760. Of the three dental schools that currently call Texas home, all are located in East Texas, more than 500 miles away from El Paso. Together, the three schools graduate some 300 students a year, yet few of these graduates opt to practice in West Texas. Between 2007 and 2011, only 13 graduates — 1.25 percent of all Texas dental school graduates — took up practice in El Paso. This shortage of dentists has significant consequences for access to health care and overall health. Despite poor oral health being linked to serious health conditions, less than half of El Paso adults visit the dentist annually. Contrastingly, some 60 percent of the U.S. adult population pays a visit to the dentist every year, according to the National Institute of Dental and Craniofacial Research. 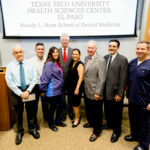 Rick Black, D.D.S., M.S., an El Paso native, seasoned orthodontist and advocate of the dental school, believes that a key element of meeting the unique health needs of the border population is recruiting local talent — health professionals who understand and can relate to the people they serve. “There are a lot of [dentists] from out of the state who have trained in other schools and are here in El Paso working just to fill the need. 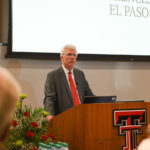 The exciting thing about this new school is that we’re going to have a lot of [students] who are going to train here, understand the need and are going stay here to help our borderland,” Black said. 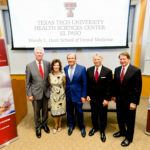 The opening of West Texas’ first dental school will not just fulfill this severe health need. It will also poise El Paso to compete with other major players in the health care sector. 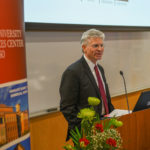 Woody Hunt, chairman of the Woody and Gayle Hunt Family Foundation, sees the expansion effort as an opportunity to put El Paso on the map. 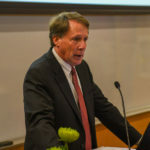 “If we want to be a competitive community with a high quality of life, we have to have competitive medical services. 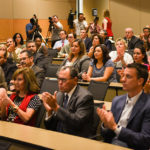 Whether it’s medical or dental services, we need to be on par with the rest… The best way to [reach this goal] is to get people that want to stay in El Paso and give them the opportunity for a high quality of education, with the hope that a high percentage of them will stay,” Hunt said. 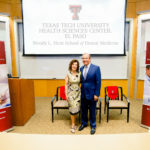 The addition of TTUHSC El Paso’s fourth and newest school will add to the health sciences center’s significant economic footprint on the Paso del Norte economy. “We have 2,000 employees and 600 students who are getting an education they couldn’t have gotten 15 years ago. 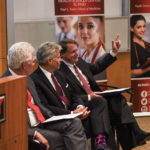 And those 2,000 jobs are good, high-paying jobs,” said TTU System Regent Rick Francis. The WLHSODM is set to welcome its inaugural class in fall 2020.